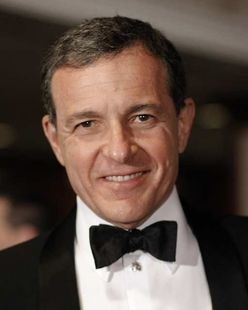 Robert Iger, CEO of Disney, has taken over the brand and on all fronts, the company has responded well. The The stock is up 38% over the last 12 months to an all-time high of $54 per share. With valuable brands like Pixar, Marvel and LucasFilm now part of the Disney fold, Iger has plenty of lessons to reflect upon. He sat down with Brian Glazer to talk about the lessons. To read, click here. Tags: Apple, Brain Grazer, Disney, Disney Infinity, Dorothy Pomerantz, Forbes, Hollywood Radio and Television Society, Lucas Film, Marvel, Pixar, Robert Iger, Steve Jobs. Bookmark the permalink. Previous post ← What Is Your Break-Even Amount?